The stock slipped 5 per cent to Rs 1,321 on the BSE in intra-day trade on Tuesday. Shares of Jubilant FoodWorks, the operator of Dominos Pizza chain in India, slipped 5 per cent to Rs 1,321 apiece on the BSE in intra-day trade after the company was found guilty of not passing on Goods and Services Tax (GST)-cut benefits amounting to Rs 41.42 crore on sale of some pizza products. It has been directed to deposit the illegal gains with the government. “The National Anti-Profiteering Authority (NAA) has passed an order in the Anti Profiteering Investigation on the company which has been posted on NAA website on February 4, 2019, concluding a profiteering of Rs 41.42 crore,” Jubilant FoodWorks said in a regulatory filing. "The company unreservedly supported the reduction of GST on restaurants to 5 per cent, as we believed it to be an extremely progressive and growth-enabling measure. In the absence of any explicit rules and guidelines, we followed the spirit of the law and passed on the benefits of GST reduction to our customers with immediate effect," it added. Jubilant FoodWorks said "the loss to the company due to input credit withdrawal was far higher than the price increase that was taken, and this wasn't taken into account by the NAA. We are studying the order in detail and will be exploring all possible options for the future," it added. Meanwhile, in past three trading days, Jubilant FoodWorks had outperformed the market by gaining 16 per cent, after reported a strong set of numbers for the quarter ended December 2018 (Q3FY19). In comparison, the S&P BSE Sensex was up 2.8 per cent during the same period till Monday. 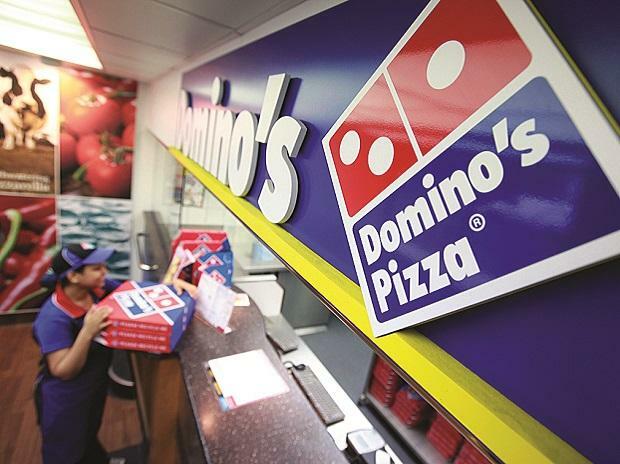 The company reported 46 per cent year on year (y-o-y) jumped in standalone net profit at Rs 96.5 crore for Q3FY19, helped by an increase in same-store sales growth of Domino's Pizza. Domino's Pizza reported SSG of 14.6 per cent in the quarter under review. Same-store sales growth (SSG) refers to the y-o-y growth in sales for restaurants in operation for two whole years. Though management sounded confident on a healthy demand environment and continued benefits from initiatives on innovation, value offering and cost efficiencies, it noted some moderation in SSSG in coming quarters on account of store splits (with no material impact on margins), analysts at JP Morgan said in result update. The brokerage firm has ‘overweight’ rating on the stock with 12-month target price of Rs 1,430 per share. Jubilant FoodWorks is a leading player in the organized QSR industry, with a more than 70 per cent share in the organized pizza market (under Domino’s Pizza). Our positive view is based on expectations of healthy SSSG, aided by improvement in consumer spending, recent GST tax cuts and various initiatives (product innovation, technology prowess) to drive market share gains; a prudent store expansion strategy; and healthy margin expansion, led by lower discounts, operating leverage and a significant cost focus, it added. At 11:53 am; Jubilant FoodWorks was trading 4 per cent lower at Rs 1,336 on the BSE, as compared to unchanged in the S&P BSE Sensex at 36,591 points. A combined 3.46 million equity shares changed hands on the counter on the BSE and NSE so far.